Wild Ocean Tasmania operates ethical wildlife boat tours along the edge of the Tasman Peninsula. Wild Ocean Tasmania offers two unique scenic experiences, the Seal and Ocean Expedition and the Coastal Adventure. Both of these tours are guided by individuals who are passionate about the ocean and wildlife. Wild Ocean Tasmania boat tours are a great way to responsibly enjoy the beauty of the ocean and its inhabitants while connecting with nature. You must be at least 18 years of age or have authorisation to access the Service offered by Wild Ocean Tasmania. If you have authorised a Child to use the Service, you are responsible for their conduct, and the consequences of any misuse. The Agreement applies to all users using the Service (“User”). Information provided by our Users through the Service may contain links to third party websites that are not owned or controlled by Wild Ocean Tasmania. Wild Ocean Tasmania has no control over, and assumes no responsibility for, the content, privacy policies, or practices of any third party websites. In addition, Wild Ocean Tasmania will not and cannot censor or edit the content of any third party website. By using the Service, you expressly acknowledge and agree that Wild Ocean Tasmania shall not be responsible for any damages, claims or other liability arising from or related to your use of any third party website. Subject to your compliance with these Terms of Service, Wild Ocean Tasmania hereby grants you permission to use the Service, provided that your use of the Service as permitted is solely for your personal use, and you are not permitted to resell or charge others for use of or access to the Service. your access or use of the Service, and/ or Personal Data posted by you through or at the Service. This Agreement shall be governed by and construed in accordance with the laws of Tasmania, and the parties submit to the exclusive jurisdiction of the Tasmanian courts for any matter arising under or relating to this Agreement. This Agreement may be amended or replaced from time to time, with or without prior notice to Users, by posting an updated Agreement on the Website. Any updated Agreement becomes effective as soon as it is posted. 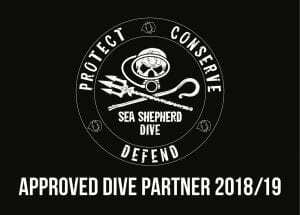 If any updated Agreement constitutes a material change to this Agreement, Wild Ocean Tasmania will endeavour to post an announcement on the Website. Your use of the Service and/or Website following any amendment constitutes your acceptance of any updated Agreement. If you do not agree to any updated Agreement you must not use the Service. Wild Ocean Tasmania will take all reasonable steps to ensure that the Website functions as intended. However, you acknowledge that your access to the Website may be disrupted or interrupted as a result of, including, without limitation, malfunction, updating, upgrades, maintenance or repair of the Service or due to failure of telecommunications links and/or equipment or for any other reason within or outside our control. To the extent permissible at law, Wild Ocean Tasmania shall not be liable for any loss or damage caused or suffered as a result of any partial or total breakdown of, or inability to use, the Website. Wild Ocean Tasmania will use reasonable endeavours to promptly address (during normal business hours) technical issues that arise in relation to the Website. All of the information contained on this Website is the intellectual property of Wild Ocean Tasmania. All trade marks, logos or any other of its intellectual property rights are the exclusive property of Wild Ocean Tasmania. You may not download, copy or print any of the pages of the Website except for your own personal use. No copying or distribution for any business or commercial use is allowed. No framing, harvesting, “scraping” or other manipulation of the content of the Website is permitted. You will not attempt to decipher, disassemble, reverse engineer or modify any of the software, coding or information comprised in the Website; nor will you post to the Website any material which infringes any intellectual property rights of any third party. The information contained on this Website is given in good faith and Wild Ocean Tasmania uses all reasonable efforts to ensure that it is accurate. However, Wild Ocean Tasmania gives no representation or warranty in respect of such information and all such representations and warranties, whether express or implied, are excluded. You agree that Wild Ocean Tasmania may use third party vendors and hosting partners to provide the necessary hardware, software, networking, storage, billing and related technology required to run the Service and manage Personal Data. Defame, stalk, bully, abuse, harass, threaten, impersonate or intimidate people or entities via the Wild Ocean Tasmania Website. Develop any third party applications that interact with User Content, the Website or any other services without our prior written consent. In addition to the other terms and conditions outlined in these Terms of Service, you agree that you are solely responsible for your interaction with other Users of the Service. You agree that Wild Ocean Tasmania is not responsible or liable for the conduct of any User. Wild Ocean Tasmania reserves the right, but has no obligation, to monitor or become involved in disputes between you and other Users. Wild Ocean Tasmanian boat tours are dependent on the weather. All tours will be confirmed via email/ text message or through an automated booking system message, 1-2 days prior to the boat tour departure. Wild Ocean Tasmania reserves the right to cancel departures at any time and will refund the full amount of any monies paid by the customer. Wild Ocean Tasmania reserves the right at any time to cancel or vary any trip. To the extent permissible at law, Wild Ocean Tasmania will not be liable to you or to any third party for any cancellation or variance of the Service. Participant Description: The Seal and Ocean Expedition Tour is a 3-4 hour scenic boat tour with the option to observe wild seals and other marine life underwater with mask & snorkel, wearing drysuits on top of your clothes, from our safe sea-view platform. Terms and Conditions: Weather conditions in Tasmania can change unexpectedly. The seals are wild and not trained. It is up to the animals to decide if they want to swim with us. If we can’t give you the experience that we market to (e.g. no seals in the water, unfavourable change in weather/ ocean conditions for snorkeling with the seals) we will only charge the ‘observer’ rate. Payments are made when booking the boat tour with Visa or Mastercard, via our online booking system, or alternatively, we send a payment request. Last minute bookings (in circumstances where our online booking system is closed and you have to telephone or email us) can be paid on the date of departure of the boat tour by Visa, Mastercard or cash. Be aware that boating and activities on the ocean can be physically demanding. A certain level of fitness is required for our trips. We reserve the right to cancel or modify the trip or refuse participation for safety and capability reasons. All participants of the Seal & Ocean Expedition have to accept and agree to a liability waiver prior to departure. Drysuits have latex-seals that must fit tightly on neck and wrists to work properly. Sharp objects can damage or perforate latex seals. We request that you do not wear any jewellery. For young children (approx 120cm and under) we can also provide a 3/2mm wetsuit. Please meet at 9am sharp at the Wild Ocean Tasmania office located at 165 Pirates Bay Drive, Eaglehawk Neck, unless stated otherwise. Wild Ocean Tasmania tours commence promptly at the time and location specified in your booking confirmation. Participants that arrive late may be left behind. Please dress warmly and bring a change of clothes. Observer Description: For those who would like to join the Seal and Ocean Expedition but are not keen to jump in the water with the seals. You are welcome to stay on the boat and watch the seals without getting your face wet. Duration: 3- 4 hours (approx.). Terms and Conditions: Payments are made when booking the boat tour with Visa or Mastercard, via our online booking system, or alternatively, we send a payment request. Last minute bookings (in circumstances where our online booking system is closed and you have to telephone or email us) can be paid on the date of departure on the boat tour by Visa, Mastercard or cash. Please meet at 9am sharp at the Wild Ocean Tasmania office located at 165b Pirates Bay Drive, Eaglehawk Neck, unless stated otherwise. Wild Ocean Tasmania tours commence promptly at the time and location specified in your booking confirmation. Participants that arrive late may be left behind. Please dress warmly and bring sun protection. Description: 2-hour scenic boat tour and wildlife viewing along the coastline of the Tasman National Park. Chance to spot albatrosses, dolphins and migrating whales. Seals are almost always guaranteed. Terms and Conditions: Please meet at 2.30 pm at the Blowhole jetty in Eaglehawk Neck, unless stated otherwise. We recommend to allow about 10 minutes to find a car park at the Blowhole and to walk down to the pier. Please dress warmly. Payments are made when booking the boat tour with Visa or Mastercard, via our online booking system, or alternatively, we send a payment request. Last minute bookings (in circumstances where our online booking system is closed and you have to telephone or email us) can be paid on the date of departure on the boat tour by Visa, Mastercard or cash.